The Microsoft Bing search engine has this fantastic feature that allows you to reverse image any picture or GIF with a few steps. Looking for related pictures is a great way to expand upon any blog post, or find views similar to something you’ve taken on your camera? In this blog post, I will share how to Bing reverse image search any picture on the web, or one you’ve taken. I’ll also explain how to Gif reverse search any picture in Bing’s index as well and quickly discover visually similar images from around the web too. Depending on what you are looking for, you can click on the images tab at the top of the menu, or you can search for something in the search bar. To help illustrate what to do, I’m going to search for Yankee Stadium in the search box below. 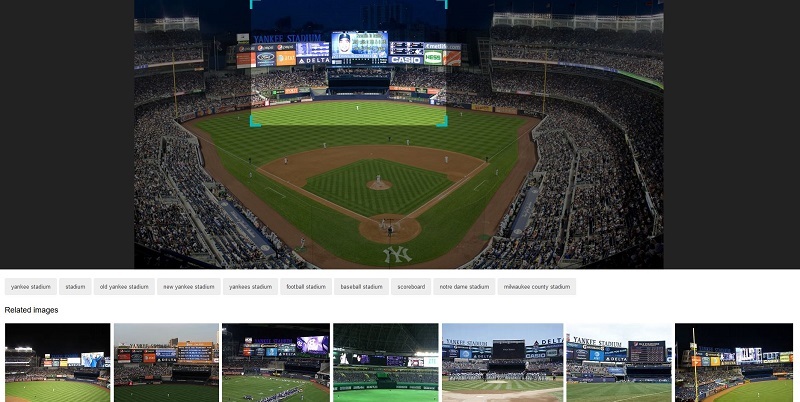 After searching for Yankee Stadium, I’m brought to the images section on the SERP. To see related photos to the one I like, I scroll down on the page and Bing begins using machine learning to bring up similar images. The further you scroll down, the more picture will show up, so this becomes a reverse image search engine via photo search. One unique feature you can perform is searching for something specific within a picture. For example, you might see a purse that you like that your favorite celebrity is wearing, so you want to see where you can buy that. Taking a picture of Yankee Stadium from above, I want to find similar photos of that scoreboard in center field. To Bing reverse image search within a picture, you hover over the image with your mouse, and you will see a little magnifying glass appear. Draw the part that you want Bing to look at then the machine learning will do the rest. Here is an example of a box around the scoreboard in center field to find images of that. Bing image search upload allows you to reverse image search any picture you’ve taken on your phone. Let’s say you took a lot of photos of a place, but could not remember where exactly you were when making your scrapbook. No problem, you can use Bing to figure out the location to the best of its ability. As a note, you should include as much detail as you can rather than a picture of water or grass for it to work correctly. Like the steps above, we have to go to the image section of the site to begin this process. Look for the camera icon and click on it. It will be to the right of the search glass. Here is an example of where I am in Bing with these steps. Click on the blue text where it says to upload an image. Once you click on that, you are brought up to your folder section within Windows. You can double-click on the icon, and the information will auto-populate into the search bar. Like before, you can scroll down on the image results and find pictures that are similar to the original file. Depending on the quality of your photo, you might get better results on the web then what you took! Here is my picture that I took that I want to see similar pictures of on Bing. I will reverse image this search with the steps that are above. As you might have seen in step two, you can paste in a Bing URL on an image if you want to find similar pictures of it. With the new update, you can scroll down on any model, and it will do the same thing as before. Bing can be known as the reverse gif search engine due to how easy it is to find these media types. GIF search is all the rage when you use platforms like Twitter, Facebook, Slack, Hip Chat, and more. 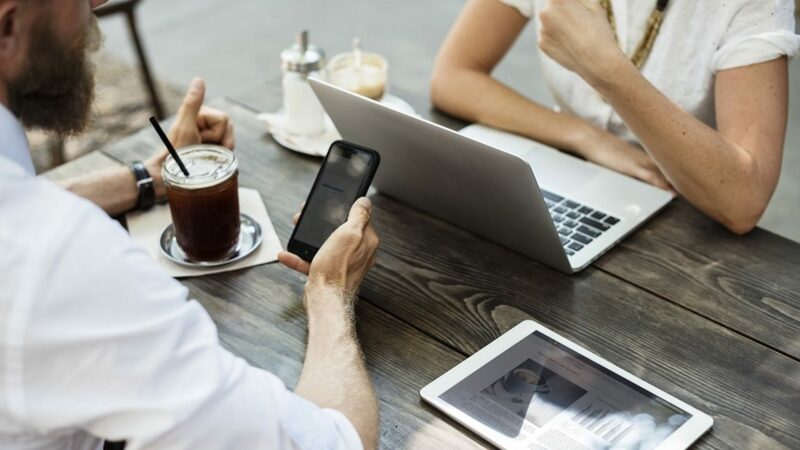 Finding great Gifs to illustrate your point can make or break a conversation with your friends. With Bing, you can perform a reverse GIF search on all of the Gif’s in their index, so you find the perfect GIF to use with your friends. It’s the same steps as image reverse match, but we have to have the settings to look for Gifs specifically. Here are the steps below to gif reverse image search anything on the web. Click on the image that you like to get to a screen of just that image. You will see on the right-hand side of the page related images to reverse. You can click on any of the images to the right to find similar Gifs of the image that you first started with. The app for iPhone and Android has this picture feature. Here are the steps below to do a visual search an android phone. Here is an example of a picture that I want to find similar images too. You can edit a picture within the app. Just tap the image you want to check, and you will see adjustment, tone, effects, drawing, and add image show up. You can click on any of those settings, and you can change the way the picture looks right on your phone. This is a hidden gem within the app, and it allows anyone to edit a picture to their liking quickly. 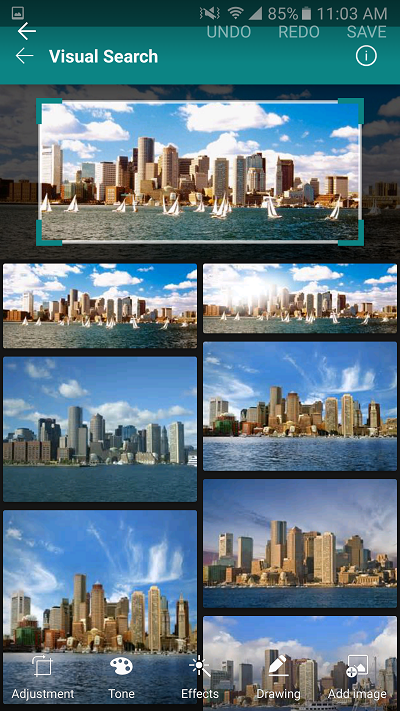 Bing image allows you to search for particular features for pictures on the web. Let’s say you want to find images that are big enough for your wallpaper, or you want to see pictures that you can share and change. 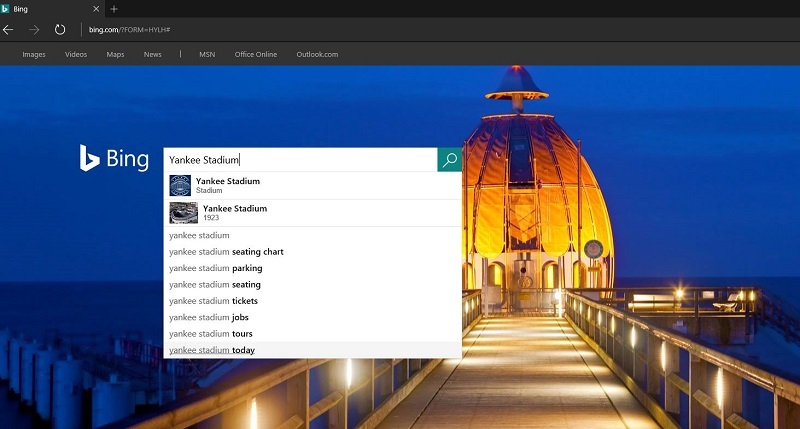 You can do a lot of these features within Bing. When you do an image search, you can click on any of these boxes above the pictures to change the specifications. The image sizes to choose from the start with all as the default, but you can specify if you want small, medium, large, extra-large, or even a specific size. Here I chose medium as a size setting that I was looking for. Bing will show you sizes right in the search results for you. You can change the size specifications at any time, and the results will change. You can match multiple criteria points for your image search. With the picture above, I have the setting to look for images with a medium size. I can then click on the type button and click on the animated GIF option. Now I can see pictures of my results that are a certain size and have an animation effect. Another cool thing is that you can hover over these images to see the moving image before you click on them. This is an excellent option if you want to preview something before you click on it. The last criteria point I will point out is the license search. When you click on the license tab, you can search for images that you can use for the public domain. In a nutshell, you can use this search engine to find pictures that you can use on your website for free. This allows you to avoid any legal problems that might come into place if you use the wrong picture.